So the title perfectly captures the essence of the entire experience that I am going to share with you guys today. 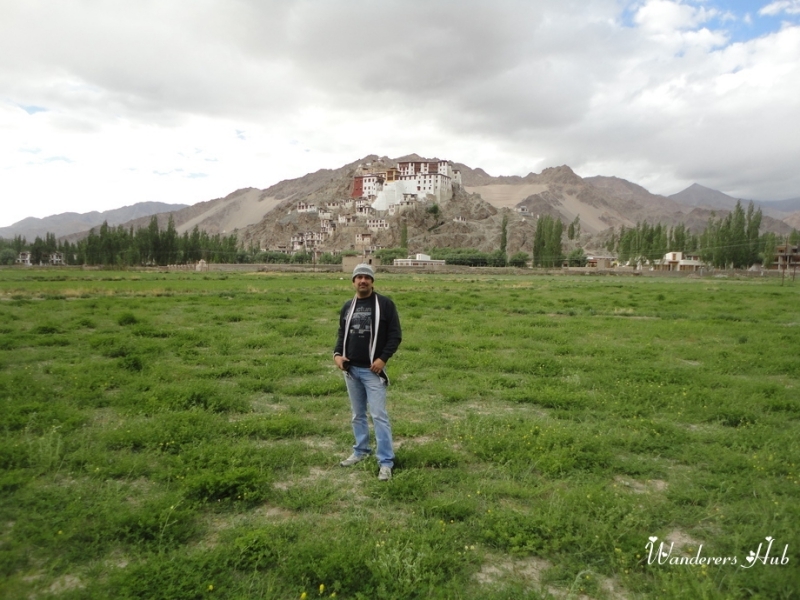 Leh Ladakh had been my dream destination and I wanted to cover the entire stretch for a long time, but couldn’t due to family commitments and lack of motivation. I’ve been to many amazing national and international destinations, but still, my heart craved for a trip to Leh Ladakh. Though it is possible to successfully cover the entire road journey to Leh in sedans or mini cars, I would HIGHLY recommend driving/renting an SUV for the Leh Ladakh road trip. 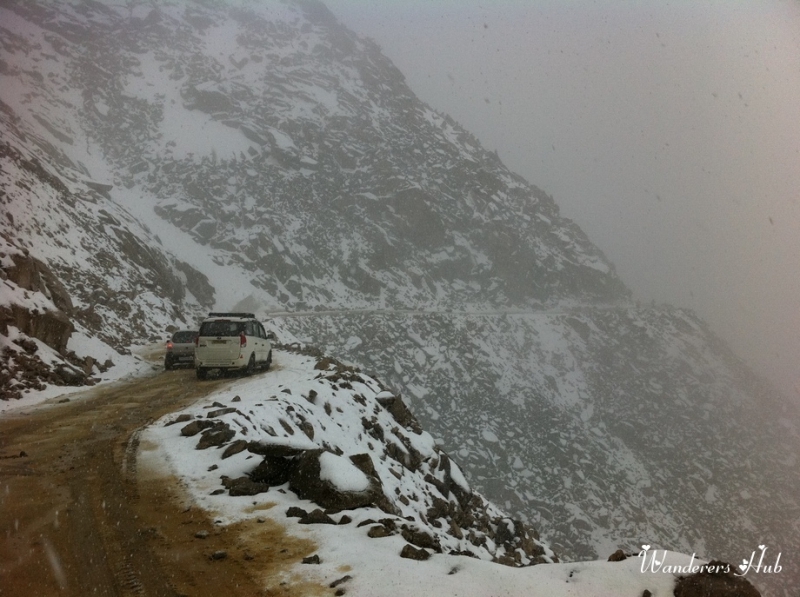 The barren lands of Leh seem inviting but can give you a hard time if not traveling in a proper SUV. For your information, we chose our friend’s TOYOTA Fortuner for the trip. As renting an SUV can cost you more, you can make travel partner with someone who has one (just as we did). 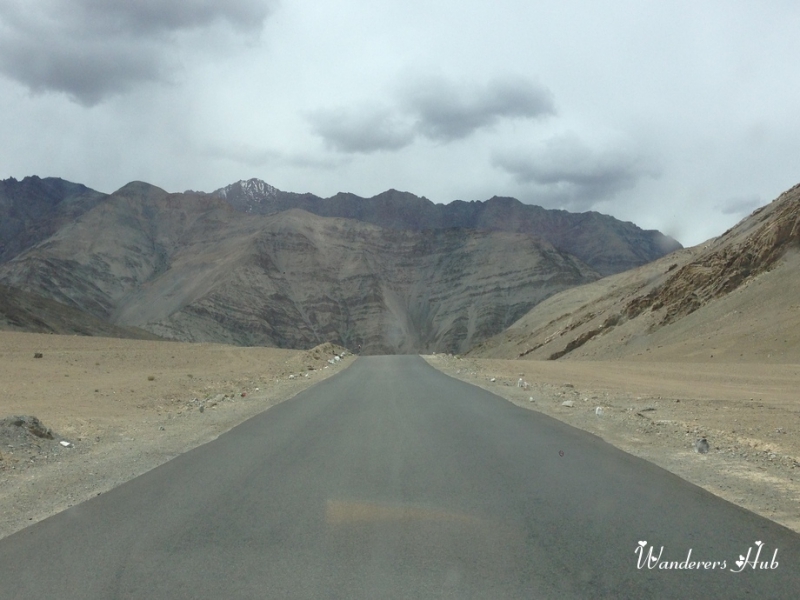 The barren lands of Leh seem inviting but can give you a hard time if not traveling in an SUV. Our journey went by smooth (thought there were some stumbles along the way) because we chose to take TOYOTA Fortuner for the trip. 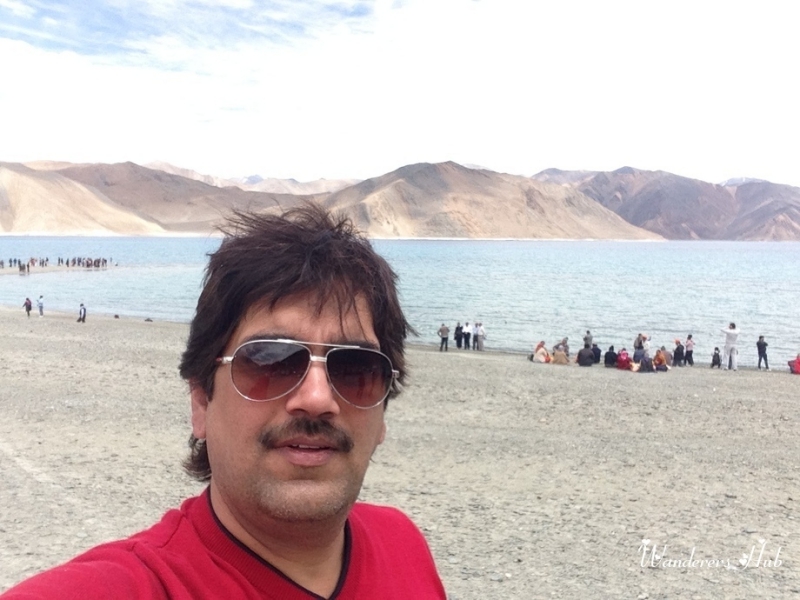 The anticipation of finally visiting Leh Ladakh – my dream destination since childhood – didn’t let me sleep at night. 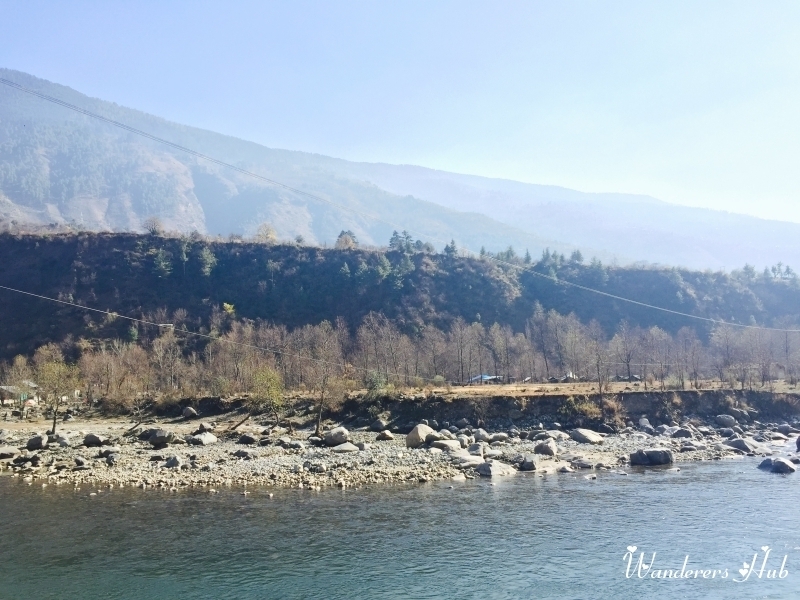 We left from Delhi early in the morning at around 6 AM and took the GT Karnal road to reach our first destination – Manali. Luckily our route (Delhi – Ambala – Chandigarh – Bilaspur – Mandi – Kullu – Manali) was hassle-free. We had multiple stoppages during the journey, but my favorite was having paranthas at the Mann Dhaba at Kharar. We reached Manali in the evening and comfortably got accommodated in the hotel we had booked in advance. We made all our hotel reservations well in advance online as that costs a lot cheaper. You can compare the rates online and book the best one to your liking as the rates they ask for once you reach there are too high. Our aim for Day-2 was to reach Jispa. We got up early in the morning and started our journey by 10 AM, which was a fault on our part. I highly recommend every traveler to leave for Leh from Manali at 4 AM in the morning. So, to reach Jispa, we had to cover Rohtang, which is located at a height of 3979 meters and is about 52kms away from Manali. 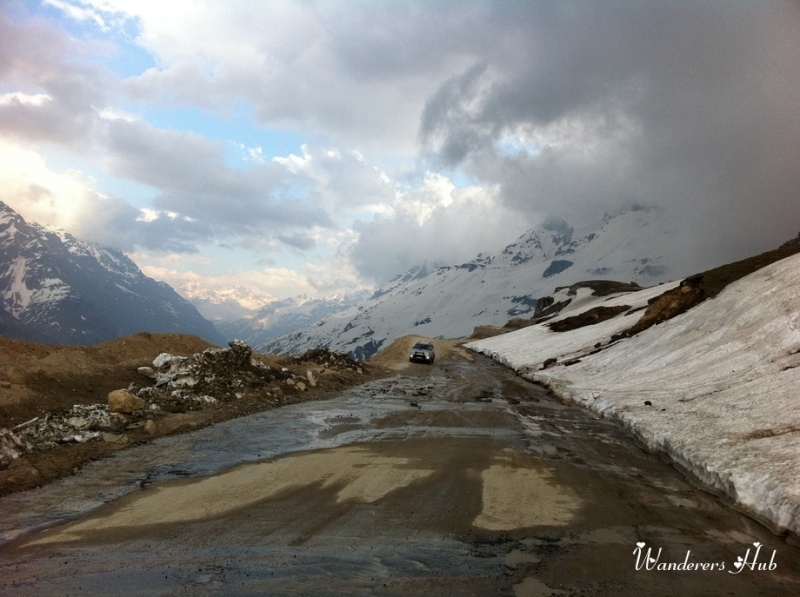 I have been to Manali and Rohtang quite a few times so it wasn’t difficult for me to drive up till there. And I must tell you whether you are in the driving seat or the passenger seat, you are thoroughly going to enjoy the scenic views all along the way! However, the first major hitch of our Leh journey came at Rohtang only, which was supremely crowded. We got stuck there for almost 7-8 hours. Man! It was really exhausting. Yes, if you are planning for Leh tour, you need to be prepared for the worse and expect the unexpected. And this is why it is important to leave from Manali at 4 in the morning as unexpected traffic jam can leave you in a fix, thus making it difficult for you to reach the ONLY petrol pump at Tandi in time, which shuts at 8 PM. It is always better to carry two 10ltr jerry cans for your journey on the Manali-Leh route. So, we couldn’t reach the petrol pump in time, and even if though we had a few more liters to go, we thought of staying on the safer end and getting petrol from truck drivers. I must tell you that the truck drivers on the Leh Ladakh stretch are quite affable and warm. You can easily approach them for help and they won’t hesitate. We got 1600INR worth fuel with us finally and were at ease! At around 11 PM, we reached our already reserved hotel in Jispa. Our real journey started on the Day-3 as the most scenic views our eyes could behold awaited. We left our hotel at around 7 AM and could see glaciers on both sides on the road. About 53kms from Jispa, we reached the highest pass of that route, i.e. Baralacha. It was freaking cold outside and we were literally gasping for oxygen. So, after an hour’s drive, we reached Sarchu where most people take accommodation in tents and even provide hot water buckets, toiletries, etc. 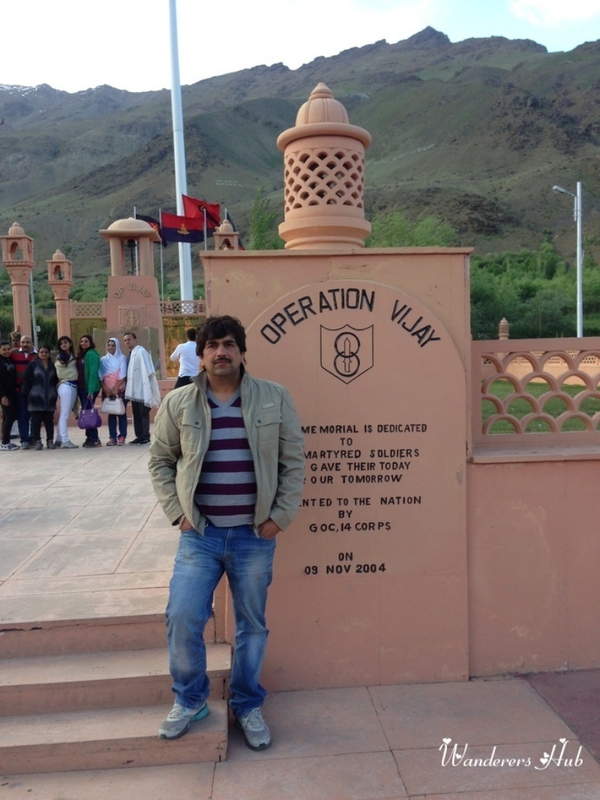 However, we had targeted to reach Leh today, which we successfully did by 9 PM. 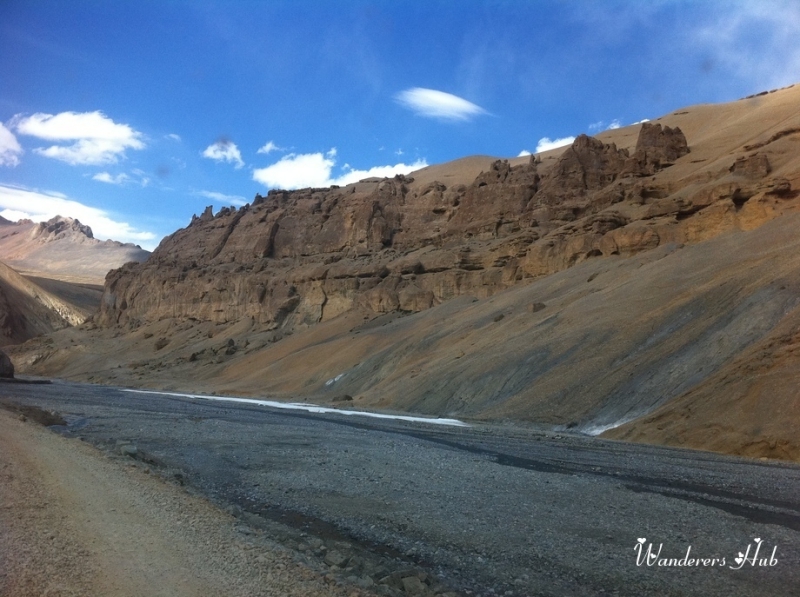 So from Sarchu, we drove another 2 hours to reach Pang and gradually even the condition of the road was improving. We made a stop at Pang and had hot Maggi noodles at the tent settlement. 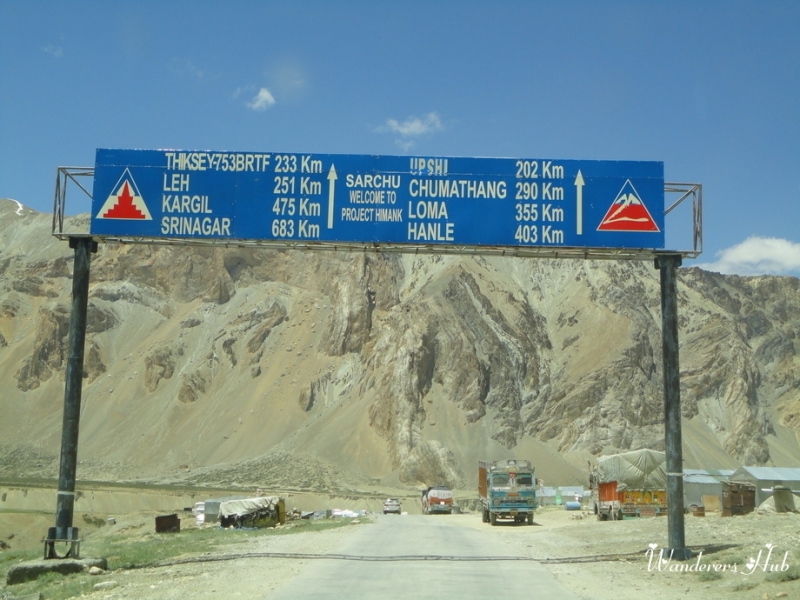 Before the final move towards Leh, there is a check post where you need to register yourself! So, you can relax for a while and just awe at the marvelous sites around. I got back to my zestful self and Vinay gave me a pat on the back and with all the encouragement we all left for Leh. The road led us to Moore Plains that is set at an altitude of 15400 feet. Yes, I couldn’t believe that the flat pressed land is at such a height. Well, the experience of driving there was totally awesome, though the roads were a little bumpy. 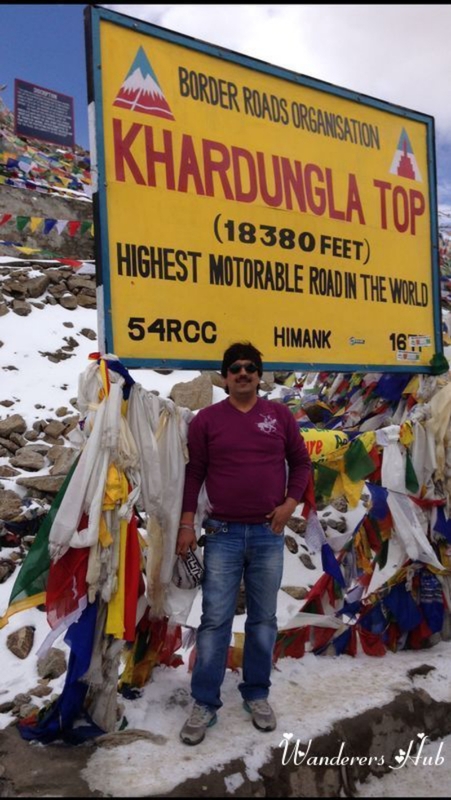 We quickly made our way to another highest pass in Ladakh – Tanglang La (17,582ft), where the bad Leh Ladakh weather conditions took a toll on one of our friend’s health, however, he recovered soon. Due to limited oxygen there, it was difficult for us to stop there for long, after clicking a few nice snaps we made our way to Upshi. After crossing Upshi, we got our fuel tank filled at Karu. We reached Leh at around 9 PM. In the late afternoon, we decided to visit our friend who lived in the village of Leh. Oh! And what a home he had! It was an impressive and luxurious home, and my friend treated us to some tasty cookies and cakes. 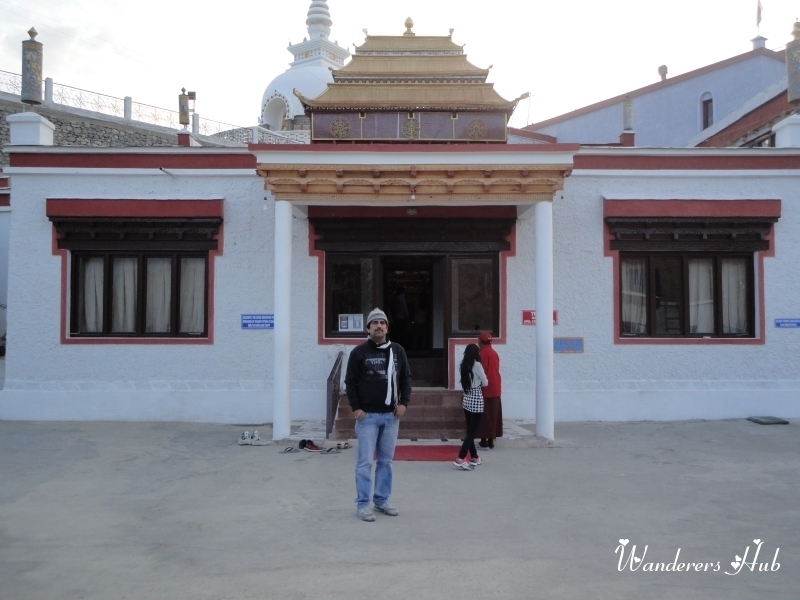 I had my first cup of Ladakhi tea – hidden gem of the mountainous region! It is a strong green tea with salt and butter added to it! And travelers to Leh should definitely try this tea, also called gur-gur chai. Get money from ATM at Ladakh only as there are no ATMs in Nubra Valley. One of our friends felt short of cash, and he couldn’t do that during our visit in Nubra. So after exploring attractions of Leh and getting thousands of pictures clicked in the majestic snow-laden Himalayas, we came back to our hotel. On the northeast of Ladakh was the far-flung enclave called Nubra Valley which has to be my most favorite in the entire trip. 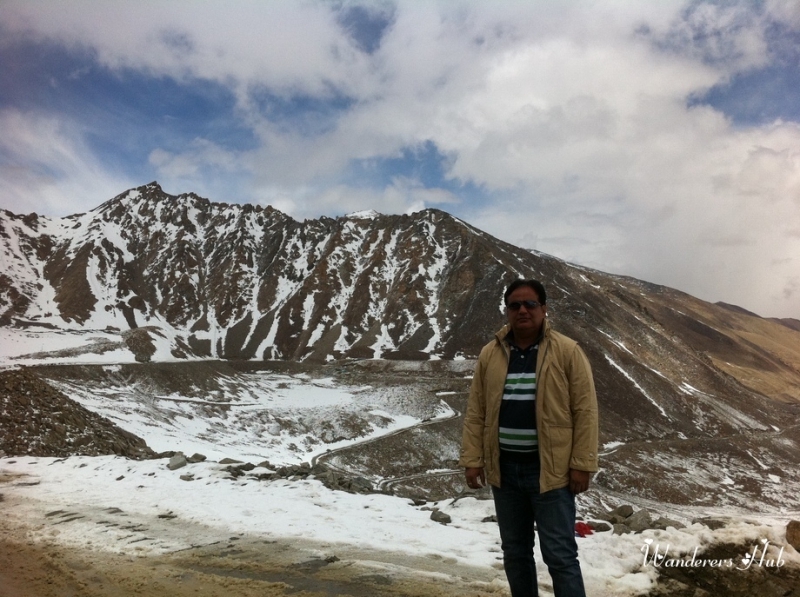 Our first stop on the journey was at the Khardung La pass, which is the highest motorable road, located at 18380 feet. You can find the army camp and a tea stall over there. Okay, so this day was my personal favorite, also because it began to snowfall during the journey. So by the time we reached Khalsar, I was extremely tired and I switched driving seat with Vinay. We had Ladakhi tea again at Khalasar, and I realized I was quite addicted to that sweet-salty dose in no time. I decided to take a short break to catch up on some sleep but I couldn’t as the views around were fabulous. 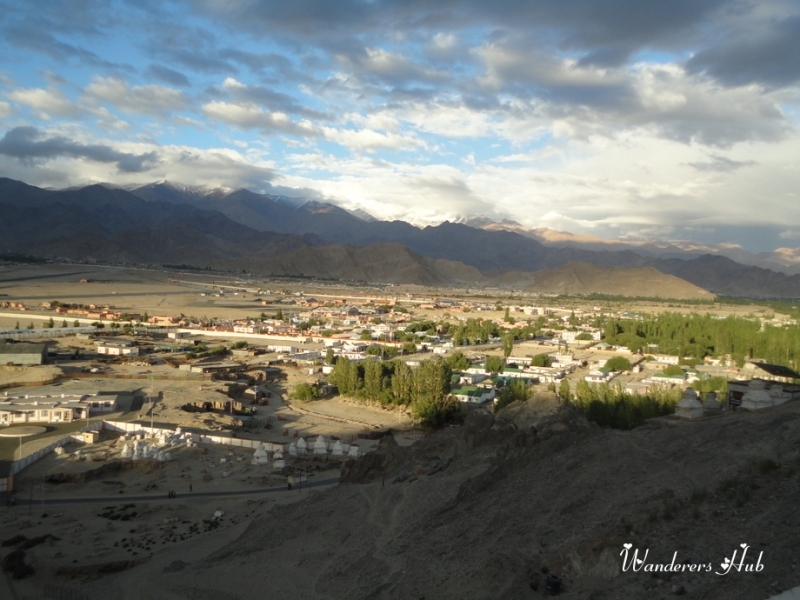 Leh truly doesn’t let you sleep – all you want is to capture that beauty in your heart. The high altitude roads greeted us to scant vegetation and completely desert mountains (sand dunes), which made the view breathtaking. As beautiful as they may seem, those desert mountains can scare you and enchant you at the same time. 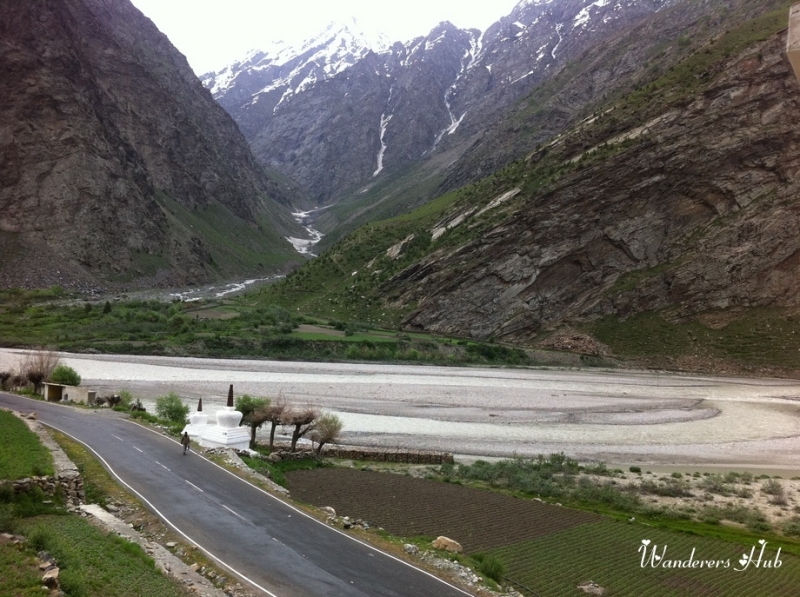 At around 6 PM, we reached Nubra Valley. We had already pre-booked our tented accommodation in Nubra, and I must say that the tents were neat, clean, and comfortable! 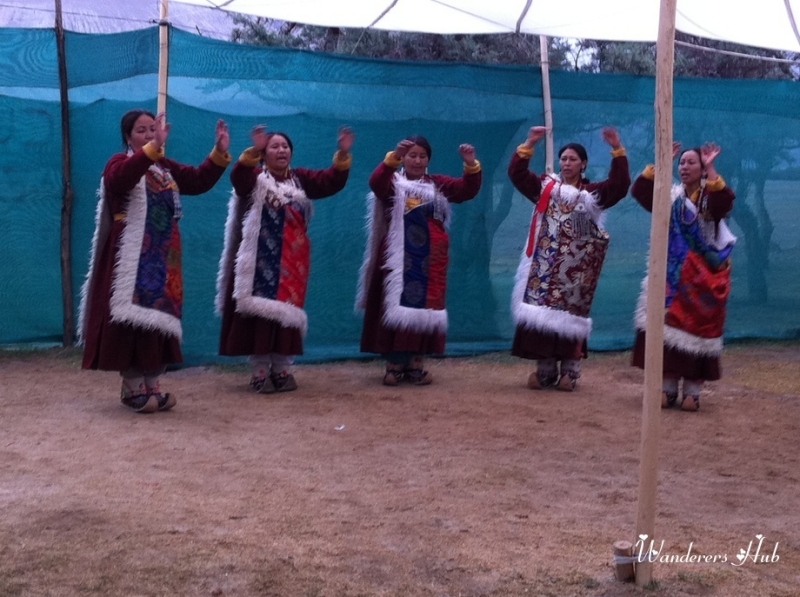 A ride on the double humped camel as well as ladakhi dance, summed up our evening! Even the bravest would get afraid of the mighty Himalayan ranges however the feeling is still beyond the world. I would perhaps plan a second trip to Leh Ladakh very soon. So as you know we had prior arrangements for the entire trip, we left for Leh, not very much before exploring Nubra Valley. 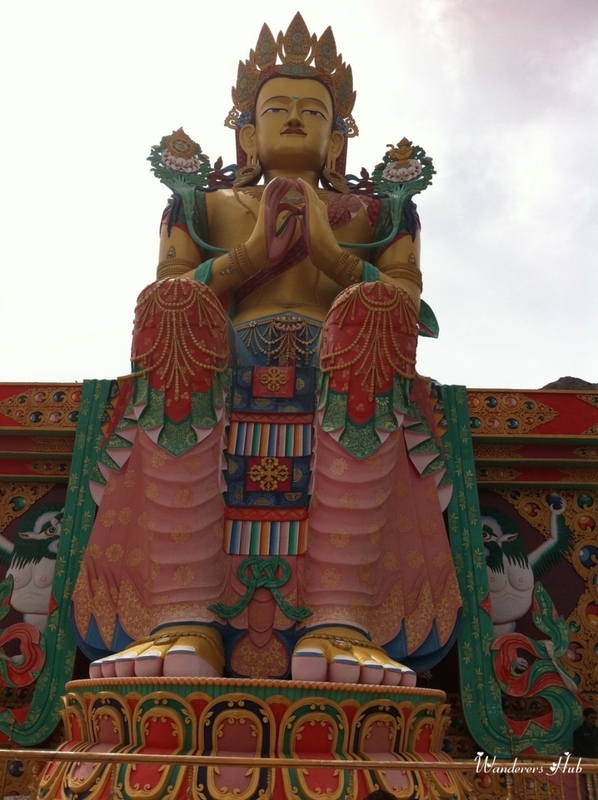 We visited the 14th-century monastery in Diskit which is also the oldest Buddhist monastery in Nubra Valley. It feels like an overgrown village and its main attraction is Diskit Gompa i.e. largest Buddha statue in the valley. 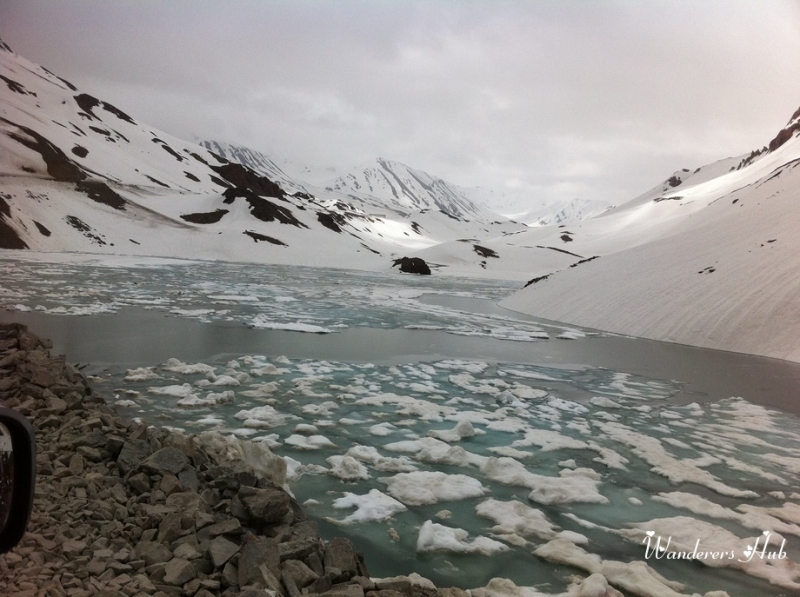 So, we left for Leh from Diskit – it was a journey of 120kms approximately. By now, we got acclimatized to the extreme Leh Ladakh weather conditions and dropping temperatures. But we were definitely in awe of the scenic views that the valley beheld. Our plan for the day was to cover Pangong Lake that is the highest salt water lake in the world that was about 150kms from our hotel. Remember that scene from 3 Idiots where Aamir and Kareena were snogging? I was definitely enchanted by the lake in the backdrop and it sure was a treat for the eyes! 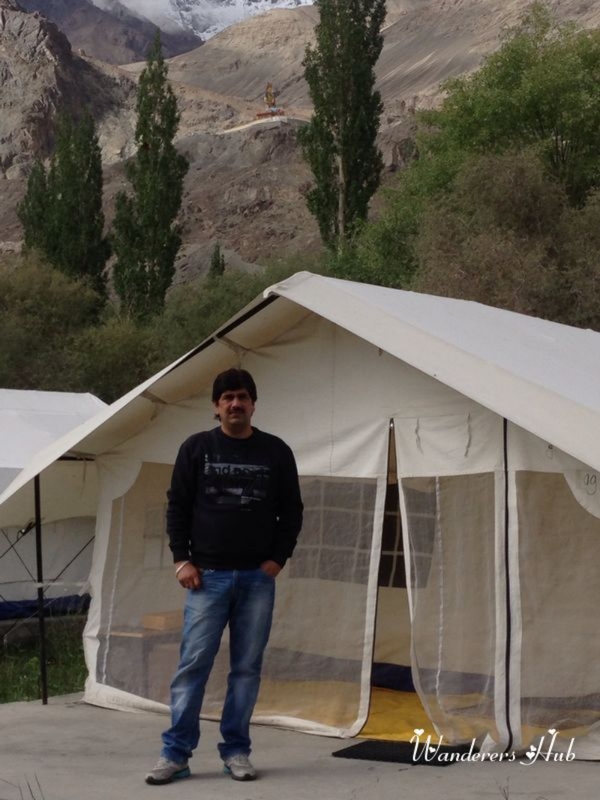 Though tourists prefer staying in tented accommodation in Pangong, we already had our reservations at the same hotel. It was time for us to head back to Delhi. We started our journey via Kargil to Sonmarg. And the highlight of the day was driving on the Magnetic Hill. It was a gravity hill, 30kms away from Leh Ladakh that had magnetic properties because of which metallic vehicles got pulled up. 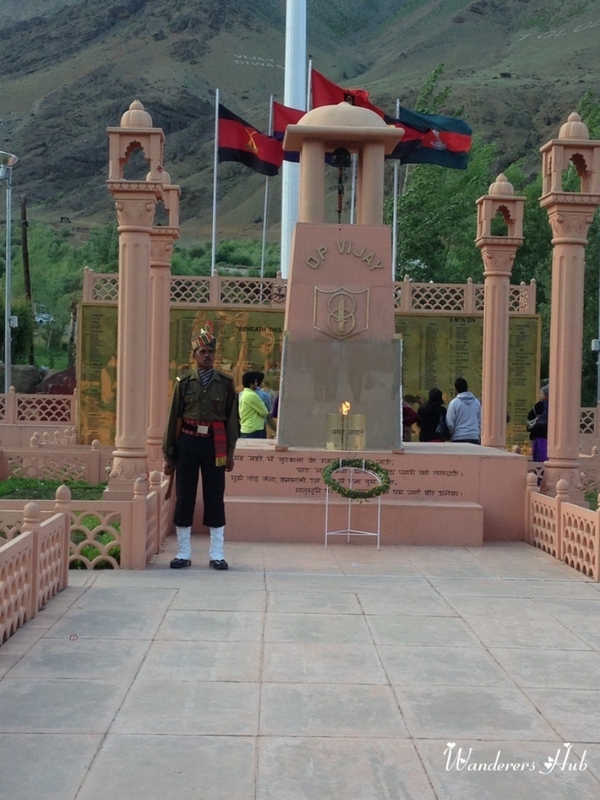 After near about 4 hours’ drive till Kargil, we stopped at the Kargil War Memorial for 2 more hours. The Tricolor flying high in the glory definitely gave us the goosebumps. 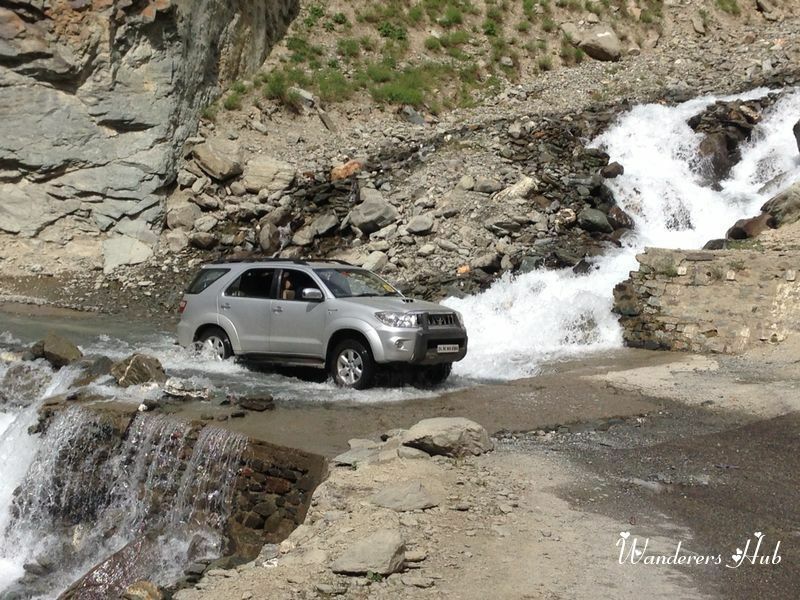 The real fun began after the Zozila Pass but soon it all became a nightmare due to adverse road conditions. Heavy traffic jam, rain, and water logged on the entire stretch delayed us easily by 2-3 hours. 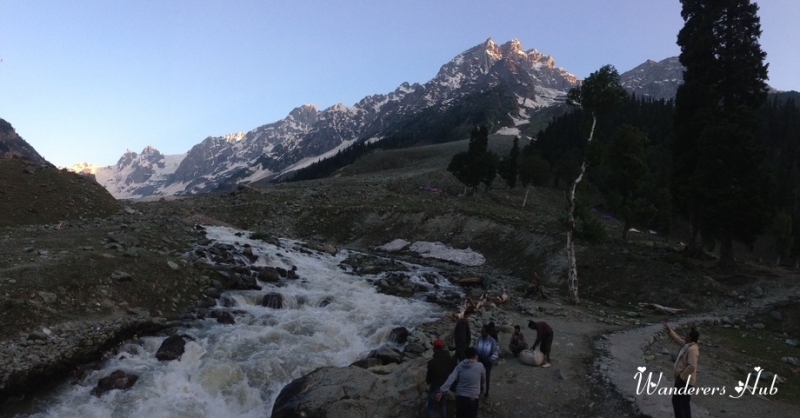 And near about 11 PM, we reached our hotel in Sonmarg. 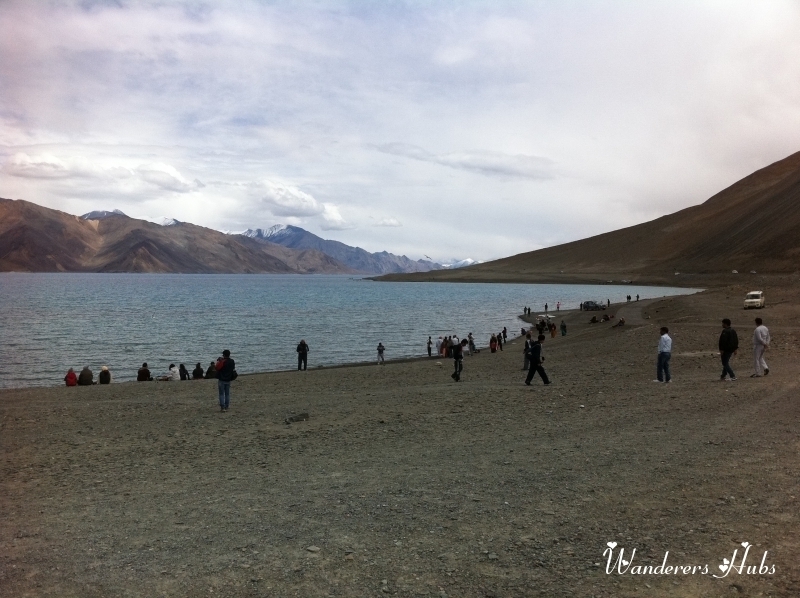 We kept thinking about the beauty that Leh Ladakh is! 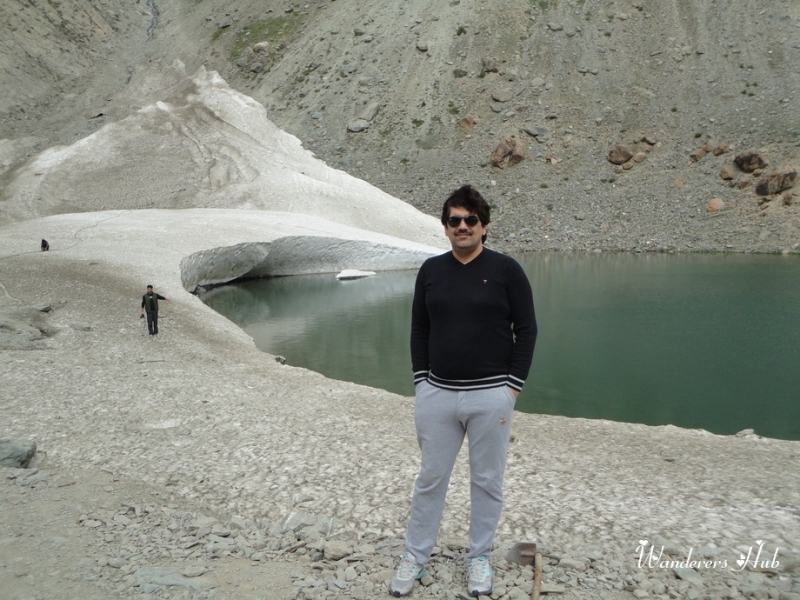 For the day, we had planned a stay in Patnitop which was about 6 hours drive from Sonmarg. On reaching Patnitop, we were no more in the mood to explore and decided to sit quietly with our beer bottles and discuss the amazing adventures from our entire trip. Next day we got up early and left for Delhi. Overall, it was a satiating experience which I’ll never forget in my life! It is important to have a good idea about Leh Ladakh weather conditions when planning a road trip to the land of high passes. The climatic conditions are a bit extreme, while the winters are too cold, the summers are a little harsh as the sunlight falls directly on the face. Ideally, plan a trip to Ladakh during April, May, June, and July as it is buzzing with tourists during these months and even the weather remains pleasant and exciting. So, plan well and stay safe!